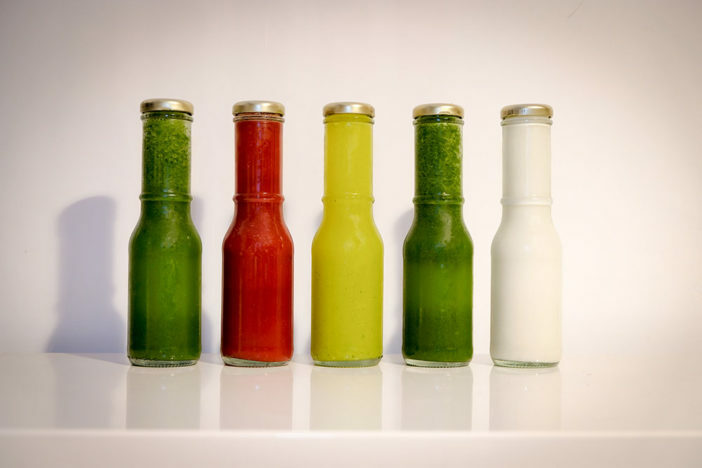 You are at:Home»Life»Health»Nutrition»Juice It and Lose It: Should You Just DIY Your Next Juice Cleanse? Going into this, I was no stranger to the concept of juice cleansing. I have had numerous friends, who had completed a multi-day fast and expounded upon the wonders it had done to their overall health, or figure. I was no doubt intrigued by these claims, but had never quite had the opportunity nor was I willing to go without solid food for a significant amount of time due to my busy schedule. We all know how impossible it is to perform even the most menial task after skipping one meal, let alone nine meals throughout the course of three days. But beyond your standard, “this is my experience of doing a juice cleanse” rigmarole, we wanted to buy a juicer, make these juices by finding a DIY juice plan on the internet, and finally determine if the experience was worth the effort. There has to be a reason why known juicers in Beijing, who we won’t be naming here, can charge upwards of RMB 900 for three days of juice, each containing about 500 ml of liquid. It does have the extra value of being prepared by a juice professional, but how much is that worth exactly? As an extra bonus to complete this project, the juice recipe I found on the internet completely matched what was being offered in the weight loss focused juice cleanse that can be found on many juice shop menus. Check out the recipes for this below in case you want to try the DIY approach as well. To start things off my wife went on a popular mobile secondhand market app called Xián Yú (闲鱼), and we found a Hurom HU-100 Masticating Slow Juicer for RMB 500. It was practically brand new and had a list price that far exceeded what we picked it up for, which made us happy. This was definitely the most expensive part of the project and it wasn’t a disposable item. I’m certain we will continue to use it in future for a variety of applications. It’s a pretty standard machine built by a Korean company that only makes juicers. I learned during this project that centrifugal juicers aren’t as ideal as a slow juicer because the high-speed spinning causes some oxidation that destroys the enzymes and nutrients of the juice. We next set out to buy all of the ingredients. If you didn’t know already a lot of veggies go into all of these juices and throughout the three days I had to make multiple stops at multiple grocery stores in different neighborhoods to get everything needed. This might not sound like much work, but on an empty stomach even having the energy to get up and grab another glass of water can be an epic challenge. I don’t think I’ve ever purchased this many vegetables in my life. The shifu at my apartment complex must have thought I started moonlighting as a rabbit breeder. I also tried telling my ayi what I was doing and she just looked at me like I was a crazy person. One good thing about doing this cleanse is the ingredients are all very cheap. This is probably because I didn’t attempt to only buy organic, which would have upped the costs significantly. So even though there’s a very real possibility that I’m not entirely cleansed after consuming all of these vegetables, my goal of doing all of this juicing for under RMB 900 was definitely realized. Following the produce shopping extravaganza that made for a very funny and awkward ride home from Sanyuanli Market, balancing pineapples and bags of kale on both handlebars, came the juicing segment of the journey. This meant that I would be spending two or three hours in the kitchen each night of my cleanse chopping, peeling, washing, and juicing for the following day. My schedule for the night would be get home, play with my son, not eat dinner, drink some juices while my wife ate delicious solid food, make each of the five juices then clean up, and finally crawl into bed. As you can see I was fully committed to this cleanse, but the process can take its toll as it is very exhausting night after night. This helped me realize why many people are willing to pay the high cost of a juice cleanse as it is just more convenient. Not only are they made for you, but they are also delivered straight to your door in a cute insulated pouch. But in terms of taste, all of the juices I made tasted great, with the Green Meanie being the one exception. That one is just veggie packed to the point where it wasn’t enjoyable, but maybe if you drank enough it would have some sort of Popeye effect like in the cartoons. The Sweet Green Morning Juice, Beatnik Apple Juice, Pineapple and Mint Juice, and Raw Vanilla Cashew Milk were all quite delicious. I was very pleased with myself about the results. Throughout the experience I was waiting for the sense of euphoria that you can often read about in blogs when participating in a juice cleanse. I was waiting for all of the toxins to just fall out of me, but it wasn’t as dramatic as I expected. I did however lose 2kg over the course of three days and my coworkers and family started saying I looked thinner. Maybe that is some people’s view of victory, but most of the time people just said, “Kipp, you look angry.” I wasn’t a happy camper. My performance wasn’t 100 percent in the office, I couldn’t exercise as exerting myself too long would probably have not ideal consequences, and I was very much “hangry” for a majority of the cleanse. But I did however get a lot out of this experience. Juicing is a very fun activity, and it can act as an occasional meal replacer. We couldn’t think of a better way to load up on all of the good things your local produce aisle or dusty market has to offer than just smashing it into its liquid essentials. It won’t always taste great, but the health benefits are definitely there. Just make sure to drink lots and lots of water, and expect more than a normal number of trips to the water closet. This article originally appeared in beijingkids October 2017 issue.